About Steve Crabb | Have You Finally Found The Right Coach For You? I guess you’re reading this to see if you have finally found the right coach for you? I could have simply listed all my coaching qualifications on this page, thrown in a few logos, testimonials and detail my coaching experiences; but I believe that they alone won’t really tell you much about me. So to help you discover the real Steve Crabb, I’ve decided to share my personal story on this page. At first glance, it may look like more then you were expecting to read, but I promise that it won’t take more than a few extra minutes to read. 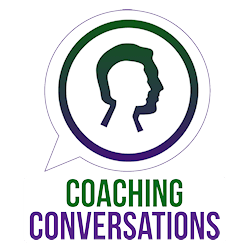 If you are serious about coaching you will take the 10 minutes it takes to read it. If you want to skip forward to the qualifications, logos and testimonials then follow this link but I hope when you do read it you get a sense of who I am and why I have a reputation for being a coach whose clients get results and why you may not need to look any further. It explains the attitude I bring to coaching and why I do what I love and love what I do and why so many clients get the results they desire and much, much more. Choosing the right coach could be one of the most important decisions you have ever made, it can literally transform your life. You want someone who will inspire you, challenge you and who has perhaps more faith in you to make the changes you desire then you do of yourself. I was born in Wimbledon, South London, the eldest of 4 boys and had a happy childhood, even though we had very little money, we had each other and the house was full of laughter and boisterous noise. I often wonder how my mother coped with keeping 4 energetic boys in hand, but she did. At school I was an average academic student but was excellent at sports. I loved playing rugby and athletics, both of which I played at County level and even had an England junior trial for athletics. I decided to leave school at 16 to work in a bank, thinking it important to get out into the world and earn money (especially as we had very little of it). I stayed in that job for 6 months quickly realising straight away that I had made a mistake leaving school and that there was more to life then just a well paid job. I just didn’t know what the “more” was. I returned to school at the end of the academic year and over the summer holiday self studied and in 6 weeks caught up over the summer break, covering what everyone else had studied during the school year. It was at this time I learnt how much I loved to read and study and that I was actually very good at it. Still not knowing what i really wanted to do with my life, I ended up electing to go to Portsmouth to study for a degree in Geography. My time at Portsmouth was hard work, mainly because I had to fund myself by working in the family business at weekends to cover my living expenses. After some of the most fun years of my life, I joined the family business which was a Demolitions and Civil Engineering company. It was the recession of the 1980″s and it was a very well paid job by comparison to what else was on offer. I had been bought up as a young boy climbing over derelict buildings and driving heavy machinery. Health and Safety attitudes were different then to nowadays and we never told our mum what we were doing or she would have fainted. By my early twenties I had accumulated a lot of hands on experience and combined with my academic approach I quickly grasped how to project manage. Like many people at this age I just simply did the next thing that seemed to make sense, I never really had a life plan and it didn’t occur to me that such a thing existed. When ‘Career’ means to ‘veer off in an unexpected direction’! For nearly 15 years I worked in the family business and loved every minute of it. Perhaps not having money when we were young motivated me to be successful in business and become financially secure; during this time I learnt to manage large complicated projects, to market and sell, and I voraciously studied all other areas of business treating it as a hobby which I loved and still do. After a few years I was made a director of the company and it was my energy, vision and hard work which took it to a mutl million pound business within a few years and one of (if not the) largest demolitions companies in the UK. There was a time in the 1980’s when I could walk around central London and within a day visit at least 30 contracts we were involved in. We had contracts in Japan, Gambia, Europe and the USA. For a young man it was an exciting challenging business where I got to work on large engineering project such as stadiums, power stations, high rise blocks and worked in most of the famous landmark buildings in London. I treated all contracts as if they were a game, where if I was set a challenge I was going to achieve it safely, quickly and profitably. The motto I created for our business was “We Clear The Way For A Better Future”. We began to specialise in demolishing motorway bridges; and I apologise to anyone held up in traffic queues on the M25 when the bridges crossing it were removed to add the extra lanes…sorry that was my fault. This specialisation meant we became excellent at planning and removing bridges over night and this specialist skill paid very, very well. During this part of my life I became interested in business in general; and seemingly by chance, entered into a series of new business ventures with varying degrees of success. For example, while demolishing a large industrial laundry which had caught fire, we recovered lots of machines undamaged by the disaster. I used the equipment to set up a serviced launderette, the reasons for opening this were I had all the equipment for free and I needed a place to drop my washing off as I had no washing machine at home. It all made sense at the time. After a year I sold the business on at a healthy profit to a man who had always dreamed of owning his own launderette and this sparked a new interest in starting up other business projects so I could also sell them on at a profit. In the years that followed, I started a range of small business ventures in publishing, mobile phones, computing and became part owner of a wine bar. Upon reflection I was looking for a way out of the family business and sought a new reason for being in business. One of the reasons for wanting to move on, was that although i loved what I did and was very good at it, it was a very dangerous business to be in with the potential for people to be hurt or die if things went wrong. Despite being thorough and having an impeccable health and safety record there was always the potential for an accident. At the time I didn’t realise just how much this caused me stress. As the contracts got bigger and the business grew, the stress increased. My coping mechanisms were to over-eat and over-drink and regrettably I owned a wine bar which helped to make both very easy to do. The other reason for stress was that although the contracts were very profitable, they came with huge financial penalties for non perfomance. I often woke up in the middle of the night and had to drive to contracts so I could climb the fences and walk around them to check we were on schedule. And it wasn’t just work which caused stress, my wife and I had been trying for children for many years, going through 5 courses of IVF unsuccessfully in the space of three years. So over the years the weight piled on and the drinking got worse. I topped out at 20 stone and could easily finish off 3 bottles of red wine a night in my own wine bar. My wife and I decided to no longer try for IVF and instead to adopt and it was then I had a wake up moment in life. I realised that if I carried on over eating and over drinking the way I was I probably wouldn’t be around to see my adopted children grow up. I needed to do something about it but I didnt know what. I had always been interested in self development, I also knew there was more to life then what I was currently doing, but I just didn’t know what it was or where to start or where to go for help; remember this was long before coaching had become as popular as it now is. Looking for a coach wasn’t even a consideration. I had however read loads of self help books and listened to Paul McKennas hypnosis cassettes ( that’s how long ago this was) a lot had helped but I still knew i needed assistance to get me off the wrong track and onto any track but the one I was on. No one’s coming to rescue me – it’s time to take personal responseability. While doing an exercise in “Awaken the Giant Within”; I got a profound insight and the experience of being able to change the way I felt simply by changing my thoughts. This was life changing. I learnt for the first time I was in control of my emotions and not my emotions (in particular stress) controlling me. I wanted to know more. So I bought Tony Robbins CD course Personal Power it’s a 30 day self study programme and I listened to the first recording and realised half way through the first CD that I was repeating my mistake by not stopping to actually do the exercises. So I committed to listening to the CD on my drive into work, listening again during the day and doing the exercises; and then listening to it a third time once I got home. I was a busy businessman and this type of committment didn’t come easy, but I made a promise to myself not to allow anything to interrupt this programme. At the end of the 30- days I felt a different person. It was as if I had released a whole load of baggage I wasn’t even aware I had been carrying around. Because of my repetative studies and total immersion in the subject I had learnt lots and knew how to do all the techniques. At the time I didn’t realise I had taken the first two important steps in any personal change work which are; firstly to be willing to be open to learning and secondly to take personal responsibility for my own experience. I also hadn’t realsied I had already stepped down a new career path towards becoming a coach. In the short space of 30 days my attitude to life had changed, my thinking was different and I was behaving completely different, in good positive ways. I had stopped my drinking and was no longer over eating and was giving myself some “me time” to get healthy. I was already curious about coaching, NLP / Neuro Linguistic Programming (or as Tony called it NAC – Neuro Associative Conditioning) and hypnosis but the results I personally experienced opened up a new degree and depth of interest, I needed to know more and wanted to know what more could I change? It was then I had what I call my “Jacuzzi moment”. After training down the gym I had a sauna and was relaxing in the jacuzzi reflecting upon the changes I’d experienced and not knowing where my future was heading but enjoyed having a sense that good things were ahead. I lay back and with a calm relaxed quiet mind asked myself the question “How can I earn money while I sleep?” In a flash two pieces of information came into my thinking, one was a recollection of a meeting with an entrepreneur the previous week, the second was of a meeting nearly a year prior when someone at a networking event handed me some information that she thought I would be interested in. 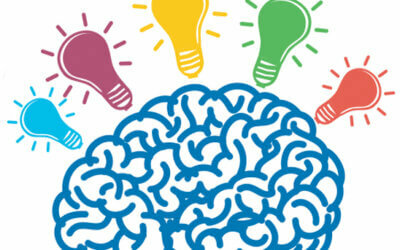 The two memories merged and I saw a clear vision of a new business project literally unfold in front of my very eyes. I had unconsciously done what in NLP we call “The Visual Squash”. To cut a long story short …if you have read this far you are probably thinking I’ve missed that point long ago… but stay with me here because this is what changed my attitude to life and business and got me into coaching as a full time profession. I took the idea and from the vision created a robust business plan which turned a new start up venture into a business which turned over £6million in its first year of trading making £4 million profit. It was a one off project with a short window of opportunity (only a year life cycle) and it took organisation, persistance and a stress free approach to make it a reality. All my experience of organisation, project management, marketing and selling and personal self management were needed to make the business the success it was. As you can imagine I was hooked on the concept of the power of our thinking to create and transform our reality. I subsequently sold my business interests in the demolitions business, I either sold or let go of every other business interest I had and decided I wanted to devote my life to learning more about the techniques that transformed my life. From personal experience I believe we can create anything we want and miracles and turnarounds can happen in an instant, they do require us to be open to doing things different and stepping up to being counted and sometimes being persistant until the transformation happens. And the really great news about this time on my life was that we did eventually adopt our three children. Not a bad year all in all. Bring it on! I don’t know if it will change, but lets find out shall we? I became a stay at home dad so I could spend precious time with my wonderful children who were then aged 5, 4 and 1 (the eldest has just turned 20 doesn’t time fly!). I also wanted to spend a few focused years studying Coaching, NLP and Hypnosis. It had transformed my life and I wanted to share this power with others. With my share of the business profits and no businesses to take up my time I made a list of people who were regarded as the best coaches, trainers and hypnotherapists / hypnotists in the world and made it my full time job to study and where possible work with them. It’s been said it takes 10,000 hours to Master a subject and I made it my mission to master these three disciplines by total immersion in study and practice. The 10,000 hour target was reached many years ago and I still continue to learn and develop as a coach. I will cut the story short now, if you have read this far you deserve a break; but telling the tale of the early years serves a purpose and puts the rest into context. What I mean is that my early attitudes towards study, business and applying myself to get the job done have all stayed with me into my coaching business. It used to be my demolition clients would ask me to look at an old structure which once was useful and has since outlived its original purpose, they then would contract me to remove the problem, then in the clear space left behind they would re-build. As a coach this hasn’t changed much, as clients still ask me to get rid of old unwanted structures (nowadays its beliefs, behaviours and habits) we clear a space and then I get to work with people to build anything they want in the space left behind. We work together as architects to design and create amazing futures and enjoy wonderful present moments. The attitudes I bring to my coaching are the same as throughout my career curiosity, desire, flexibility and tenacity. Since 2000 I have explored many applications of Coaching, NLP and Hypnosis and from my experience it is these 3 modalities (in their many forms) which can be used to make powerful lasting changes to anyone’s’ life. It worked for me and I have been privileged to work with 1000’s of people over the years and see them make life changes as well. In the first 10 years of my coaching career I focussed on working with individuals dealing with a wide range of personal change issues ranging from addictions, fears and phobias to creating wealthy mindsets. In recent years the focus has gone full circle back to business where I spend more of my time working with entrepreneurs and businesses coaching them to perform at standards of excellence. I have written this bio as Tony Robbins would say “not to impress you but to impress upon you” the idea that whatever you want to change is possible. Studied Coaching, NLP and Hypnosis with Society of NLP, National College of Hypnotherapy and Psychotherapy, StoneBridge College and many, many more including trainings with Dr Richard Bandler, John LaValle, Paul McKenna, John Grinder, Tony Robbins, Robert Dilts, Stephen Gilligan, Ormond McGill, Gil Boyne, Frank Farrelly, Michael Breen, Michael Neill, Robert Holden and many many more. Created a 1-2-1 practice focussing on problem resolutions including: addictions, phobias, obsessive behaviours, depressions, stress. Developed the practice into working with generative changework, wealthy mindsets, confidence & motivation, peak performance. Assistant to Dr Richard Bandler & Paul McKenna on their UK NLP, Hypnosis trainings from 2003. Assisting Paul McKenna on his London Hypnotic stage shows. Head Assistant to Dr Richard Bandler, Paul McKenna, John LaValle and Michael Neill till 2010. Responsible for selecting, managing and training the UK NLP assisting team. Awarded title of MASTER TRAINER of NLP in 2007 by Dr Richard Bandler. TV appearances in “The Paul O’Grady Show” and “The New Paul O’Grady Show” demonstrating a series of phobia cures with viewers. Radio appearances for BBC radio specialising in overcoming fear and phobias. Consultant specialist in Fear for UK release of Stephen Kings film “IT” and 3D film Coraline. Developed a private coaching practice focussing upon performance excellence. Sports coach to Formulae 1 racing team (world champions), Olympic medal athletes, golfers,rugby players, tennis and poker professionals. Assistant to Michael Neill (SuperCoach Academy) 2011 in New York and 2012 in Santa Monica California. Co-Presented with Paul McKenna “Life Transformations” in UK. Developed Protege programme a by invitation only programme for entrepreneurs and coaches. Director of Aventesi – training company specialising in training professional therapists and coaches from 2008 till 2014. Offering Certification courses in NLP, Coaching, Hypnosis and Specialist MasterCLASS certifications in Stop Smoking, Weight Loss, Phobias & Anxiety, Mind Body Healing. 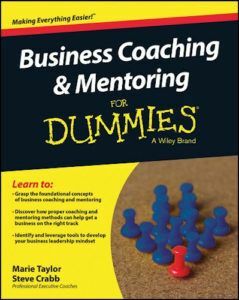 Co-author of Wiley Press – Business Coaching and Mentoring for Dummies. What ever your reasons for being on this page I hope by sharing just some of my story you get a sense of my passion and commitment to my clients and where it comes from. If you are really curious about what can change and how to do it, then start with us having a conversation. “Steve Crabb is in my opinion one of the top three coaches in the world. “I highly recommend Stephen Crabb. “Steve has been supporting me on our trainings for over seven years now, and has gone from strength to strength as both trainer and coach. “Steve is a warm, enigmatic trainer, he is constantly listening, observing and seeking ways to enhance his skills. “Steve Crabb has successfully helped clients I have referred to him and I would happily continue to send him anyone who wishes professional business coaching as well as personal therapy. “What can I say about coaching with Steve Crabb? He is witty, challenging, insightful. He is so skilled at getting results at multiple levels by enabling clients to be who they want to be and go where they want to go, that he should come with an enlightenment warning. Steve has been my Uber coach for 12 months during a challenging time for me personally and professionally. He’s enabled me to really focus on my business, my health and my inner spirit through gentle loving kindness, amazing insight, extraordinary skill and the power of just being. His deep experience as a master of a huge neuro-changing skills set is second to none that I have met (and I have met many). As a successful entrepreneur he just knows how business works at multiple levels. For me as a coach and facilitator, this has been exceptionally helpful. I’ve reduced the range of what I deliver in my business/life generally and let go of things that no longer serve me well. I’ve worked with Steve for over a year in and I know his credentials speak for themselves, but I have to add that for me, he easily holds a spot in the top 1% of trainers and coaches on this planet. Hiring Steve to work with you on any part of your life or business will get you well beyond any results you are now imagining and into brand new territory … where anything becomes possible. His training style is impeccable, engaging, and top-drawer. His coaching goes straight to the heart of the matter. He also happens to be one of the kindest people I’ve ever met – while remaining one of the sharpest. You are very lucky indeed if you count Steve in your professional circle. “Steve is an amazing coach, a master NLP trainer, a person of great integrity, wisdom. He has excellent facilitation skills, a great sense of humour, and he can assist you move through ‘stuff’ like a knife through butter so you can be your best self. He has superb insight into language and how we use it, and sees how we hold ourselves back, and uses his very real ability to unleash potential and limiting beliefs in his coachees. “Steve is a world class trainer and coach. He coaches lots of famous names and still finds time to coach mere mortals like myself. I guess though we all want the same thing, Steve’s skilful assistance to help us move easily and effortlessly towards that “thing” that we want. 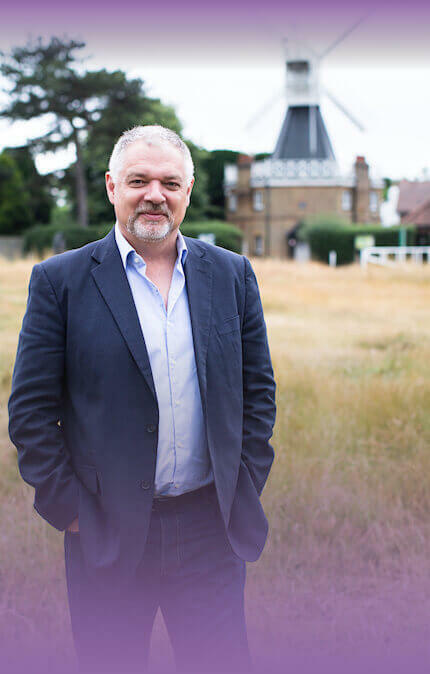 “Steve is a highly skilled practitioner who draws on his amazing and extensive knowledge and expertise in NLP and Hypnosis to enable clients to make positive changes in their lives. He works expertly with clients to ensure that they have the right tools with which to move forward so that, having worked with Steve, positive change can be ongoing for those who use the tools that he has given! As a trainer and teacher, he confidently and positively facilitates learning, creating a relaxed, focused and fun environment so that learners are confident, positive, relaxed, focused and having fun as they learn! “As a therapist and NLP trainer myself, I am often asked to recommend someone out of my area. When asked, I am extremely fussy who I will recommend – I would only ever recommend someone I would be willing to send my family or close friends too. “Honestly one of the best decisions I have ever made. I first met Steve at Super Coach Academy and knew he would help me to create a thriving business, he walks the walk, talks the talk and has taught me to be authentic to myself. “As a successful entrepreneur he just knows how business works at multiple levels. For me as a businessman, this has been exceptionally helpful. “My genesis year with Steve has bought a long diverse list of triumphs and accomplishments from day one. I have evolved in every aspect and paradigm of my life. From balancing my private relationships, to evolving my capacity of generating and resolving any ideas or plans, embracing all challenges with success I am wealthier, healthier and happier. Want to ask Steve Crabb a question?